Professor Derek Burke CBE, CiS President from 1999 to 2001, died at age 89 on 15th March 2019. Derek was Vice Chancellor of the University of East Anglia (1987-1995), chairman of the John Innes Centre Governing Council (1987-1995), and a key figure in establishing the Norwich Research Park. In 1992 he was made a Deputy Lieutenant of Norfolk. He was a specialist adviser to the House of Commons Select Committee on Science and Technology from 1995 to 2001. He also served as a member of the Board of Social Responsibility of the Church of England, was an Honorary Fellow of St Edmund’s College and a Faraday Institute Associate. CiS members remember him always taking a great interest in the affairs of CiS. He was a popular speaker at CiS events and as President he sometimes attended our committee meetings to make sure he was up to date. He was the editor of ‘Creation and Evolution’ (1985) one of the Inter-Varsity Press volumes in the series ‘When Christians Disagree’. This was an attempt to have an amicable, productive debate between CiS (whose members largely supported theistic evolution) and the Creation Research Society (who supported special creation). Derek started a small meeting in his own home to discuss science and faith and this eventually developed into the now CiS affiliated group, Science and Faith in Norfolk. He also helped to establish an annual series of Science-Faith Lectures at Norwich Cathedral which still continues. Derek was buried beside his wife, Mary, at Walberswick churchyard, Suffolk on Saturday 11thApril. Our sincere condolences, thoughts and prayers go out to his family and friends. The latest edition of our PreCiS – Precis 2019 winter final. Development Officer – Abigail Patterson. Do you shop at Amazon / SmileAmazon? other shipping fees) of eligible purchases. This is an easy way for you to support us and further our work. Our brilliant range of resources for churches, “Thinking About…” are available to view online, with THREE NEW TITLES. View PDFs or email do@cis.org.uk to order copies free! You can now give to Christians in Science online, by renewing your membership, giving one off donations, setting up a regular donation, leaving a legacy in your will or if you shop at SmileAmazon you can select Christians in Science as your chosen charity. 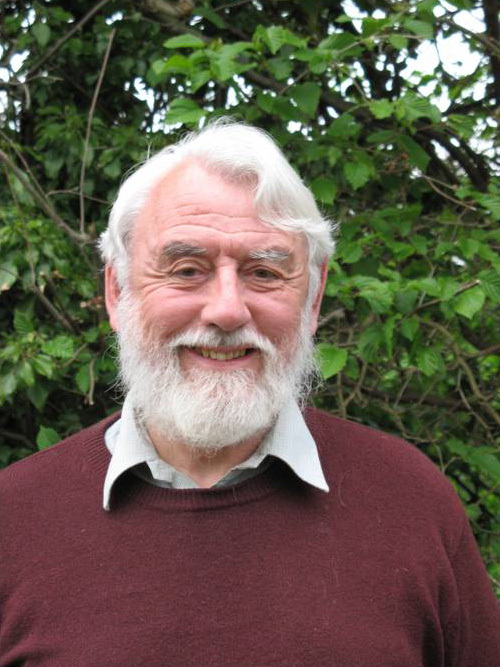 Friends of CiS will be saddened to hear that Professor Sam Berry, one of the great figures in Christians in Science from its earliest days, died peacefully at home on 29th March following a period of deteriorating health. Our thoughts and prayers go out to his wife Caroline and their family at this sad time. A Service of Thanksgiving for the life of Sam Berry will be held at St. Nicholas’s Church, Sevenoaks, TN13 1JA, at 1.30 pm on Monday 23rd April followed by tea in the church. Here is a personal remembrance of Sam, by Prof Malcolm Jeeves, CBE, PRSE. President of Christians in Science 2008 – 2014. President of the Royal Society of Edinburgh 1996-1999 and Emeritus Professor of Psychology at the University of St. Andrews. For more than four decades the Research Scientists Christian Fellowship, later to become Christians in Science, benefited immeasurably from the dedicated leadership and organisational skills of Sam and Caroline Berry. Sam as Chairman of Christians in Science (1967-1988) and President (1993-1995) and Caroline as its Secretary (2000-2008). Both had full-time and demanding professional commitments. Sam as Professor of Genetics at University College London and Caroline as a Consultant Medical Geneticist at Guy’s Hospital in London. His scholarship was widely recognised in many directions. He was President of the Linnean Society, the British Ecological Society and the European Ecological Federation. He was a Fellow of the Royal Society of Edinburgh and he gave the Gifford lectures at Glasgow University. Sam had a very deep love of all things Scottish and his book Orkney Notes (2000) remains widely acclaimed. He also took several important initiatives which embodied his deep concern for the care of God’s creation. His so-called retirement in 2000 coincided with a time when the Christian environmental movement in the United Kingdom was growing fast and he devoted much time and energy to this area. He was a great supporter of A Rocha and was on their Council of Reference. He was one of the founding fathers of the John Ray Initiative becoming a Vice President and forming a partnership with Sir John Houghton so that together they represented the biological and physical sciences. Sam wrote or edited many books on Christianity and the environment including his “The Care of Creation” (IVP 2000). His last work “Environmental Attitudes through Time” (Cambridge University Press) is due to be published at the end of April 2018. A close friend of John Stott he spent many shared times with him at John’s Welsh retreat observing nature in all its diversity. Sam was a larger-than-life character in many ways. For several decades I worked closely with him on a series of publications. Our Visitors book at home records how on twenty separate occasions Sam came and stayed with us for several days. At the time he was working on the genetics of isolated mice populations in the Scottish islands and would turn up at short notice sometimes carrying a dustbin in which he had put his dirty clothes and some of his mice specimens. Our daughters, young at the time, remember him as “the man with the dustbin and the mice”. A flavour of his character is captured in the comments section of our Visitors book which he occasionally used. It reads “with dustbin” (23/24 March 1973); Heb.11v3 (16 Jan 1980); “Modernity now in its postmodern phase” (20/21May 1986); Anglican (April 4-7 1997); Co-author (8 Dec 1997). Two years ago, at his instigation, we wrote a Review article for the journal Science and Christian Belief tracing out the history, from its very earliest days, of the Research Scientists Christian Fellowship which was later to become Christians in Science. The detailed documentation at the end of our paper underlines just what a crucial part Sam played over many years in these organisations. He was faithful to the end and we give thanks for his faith, his scholarship and for his life. He will be sorely missed by us all but surely most of all by his wife Caroline and their son and two daughters who remain in our thoughts and prayers. To listen to the audio files or see the slides from the speakers please click here. The latest addition to our sister organisations Science and Faith in Hong Kong. The full list can be found on our Resources page.